Ten-year-old Nate stopped with his hand on the library door. Nate gasped. His mother never talked that way. His parents must have heard him, because the door swung open. “Nate! What are you doing lurking there?” Father asked. Nate didn’t like that. 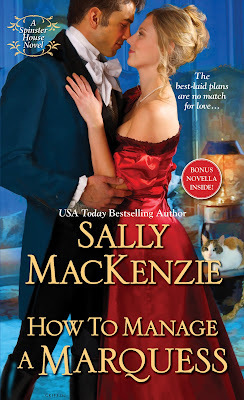 His mother had told him many, many times how her father and Marcus’s father, how all the Dukes of Hart since the third duke, had died before their heirs were born, all because Isabelle Dorring had cursed their line. He was certain Isabelle was an evil old ghost, haunting the Spinster House. “Can I come, too?” He was two weeks older than Marcus. He was used to watching out for his cousin. Mum always said that. And Nate answered the way he always did. Nate sat by his mother’s bed, heart heavy. His father had died the month before; he was afraid his mother was dying now. It was as if she’d lost all desire to live in a world that did not include her Philip. Still, he hadn’t thought she’d fade this quickly. She’d been fine—well, sad, but still alert—last night. This morning, however . . .
She was so pale and shrunken. She’d been in and out of consciousness ever since her maid had called him to her bedside an hour ago. Her eyes flew open. “Gerald,” she croaked, mistaking him for her long-dead brother. She was too agitated. He needed to calm her, but how? He hated feeling so helpless. “But you loved Father.” He’d never doubted that. His friends’ parents might have taken lovers, but not his. Their dedication to each other had been as much a constant in his life as the sun rising. “Of course I will, Mum.” The words flowed from long practice. “The curse . . . it will get stronger. When Marcus turns thirty, you’ll have to watch him very, very closely.” She tried to sit up. Mum had never said this before. She must be confused. It wouldn’t be surprising. No matter how strongly one believed in an afterlife, facing death must be terrifying. And if love wouldn’t break the curse, Marcus was condemned to a long, lonely life. Well, not a long life. Nate made soothing noises. He didn’t know what else to do. Poor Mum. He would promise her anything if it would ease her passing. And then she lay back, her eyes drifting closed. A look of peace flitted over her face just before the last bit of color left it. 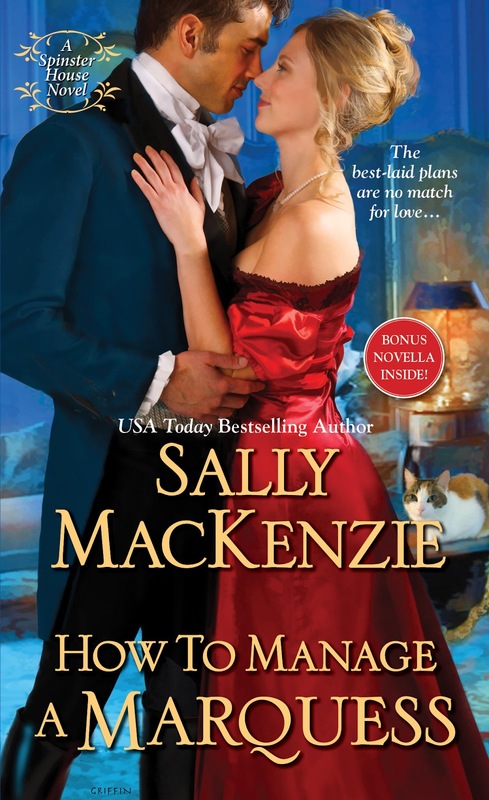 A native of Washington, DC, Sally MacKenzie still lives in suburban Maryland with her transplanted upstate New Yorker husband. She’s written federal regulations, school newsletters, auction programs, class plays, and swim league guidance, but it wasn’t until the first of her four sons headed off to college that she tried her hand at romance. She can be reached by e-mail at sally@sallymackenzie.net. Please visit her home in cyberspace at sallymackenzie.net. Thank you for hosting HOW TO MANAGE A MARQUESS today!